Microsoft’s Surface Pro LTE upgrade has appeared in the wild, complete with pricing—and it’s a lot more reasonable than you might expect. 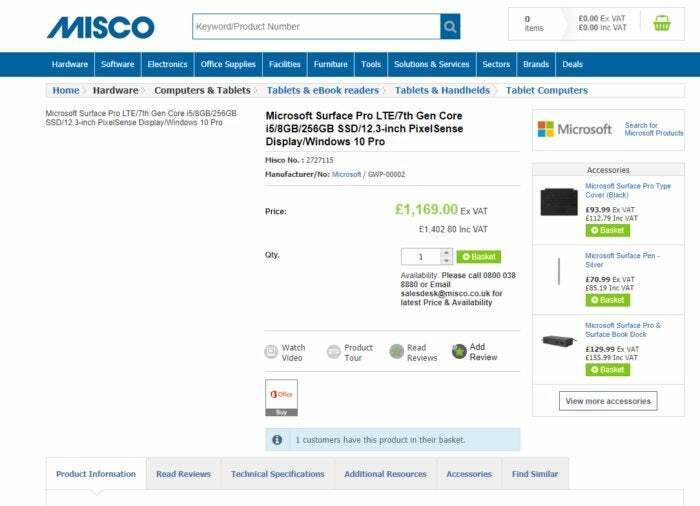 Misco, a U.K. retailer, lists two versions of the Surface Pro LTE for preorder, both based on the Intel Core i5. The first, with 4GB of RAM and a 128GB SSD, is priced at about $1,283.11. The second, with 8GB of memory and 256GB of SSD storage, is priced at $1,589.08. Both prices do not include the U.K. VAT, which make them more comparable to what a U.S. retailer could charge. The prices leaked on Misco for the Surface Pro with LTE look surprisingly reasonable. 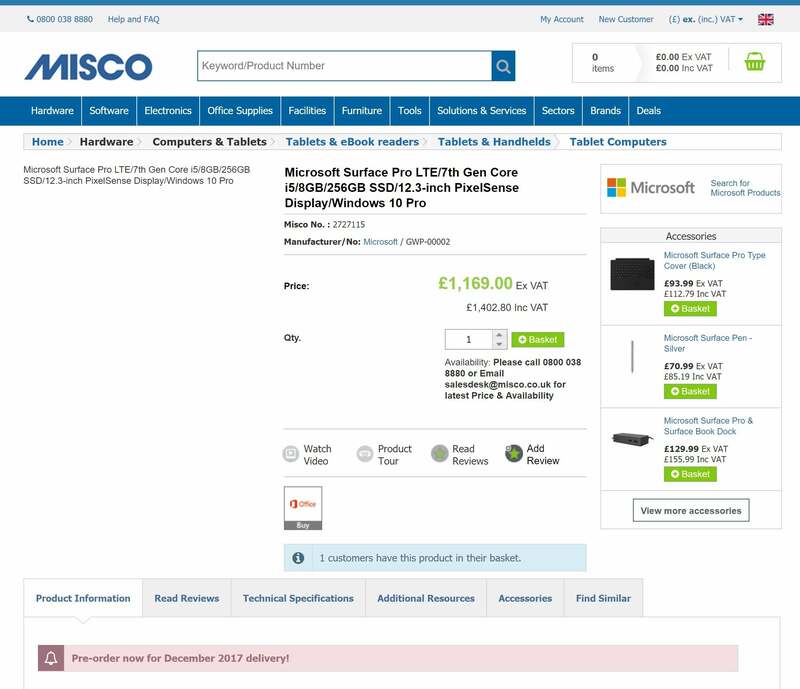 Microsoft is expected to launch the new Surface Pro with LTE at its Future Decoded event in London at the end of October, which would make Misco’s preorder page a bit premature. The Misco pages do not list an actual ship date, though the "Product Information" tab (shown above) advises potential customers to expect a December delivery. All of the other specs, including the 12.3-inch PixelSense display, match up with the new Surface Pro’s existing capabilities. Unfortunately, we still don’t know what colors the new Surface Pro (2017) will be available in, though, and Misco didn’t supply a photo. One of the Misco pages for the Surface Pro (2017). Microsoft has not confirmed either price, though at press time the shopping pages were still online. If they're accurate, the listed prices are much more in line with what Microsoft’s competitors are offering. 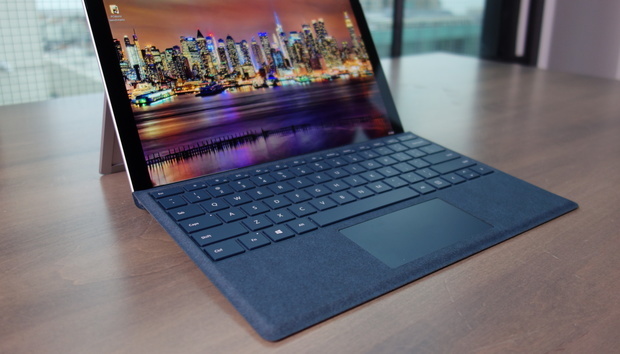 We gave Microsoft’s Surface Pro a favorable review, though the Core i7/16GB RAM/512GB SSD model Microsoft provided was priced at a relatively astronomical $2,199. The specs for Microsoft's Surface Pro with LTE showed up on U.K. retail site Misco ahead of the expected announcement. 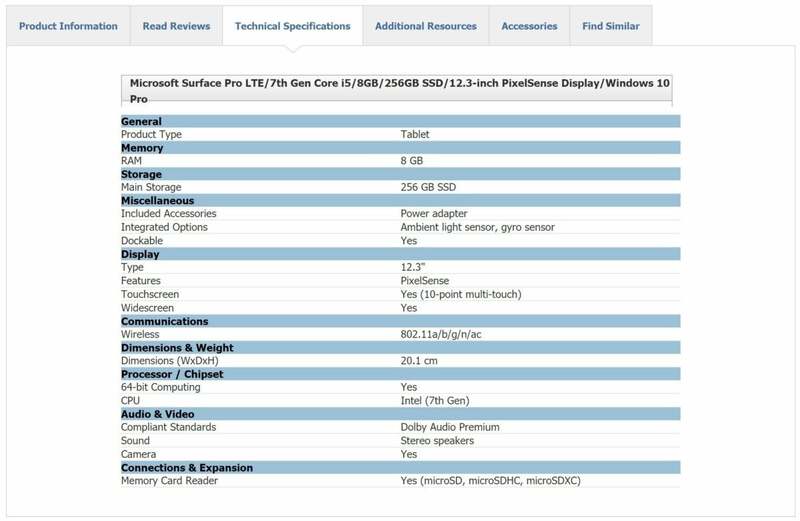 Microsoft already ships a $799 Core m3 model of the Surface Pro as well, though without LTE capabilities. The Misco site was unearthed by Neowin. What this means to you: The Surface Pro LTE shouldn’t come as a surprise, as our original review of the tablet noted that Microsoft planned to ship an LTE variant. It’s also probably a smart idea that Microsoft decided to add the LTE upgrade to its Core i5 models, given how the Core i7 version of the Surface Pro finished in the middle of the pack in terms of battery life. Tacking LTE onto the power-hungry core i7 chip wouldn't have helped.